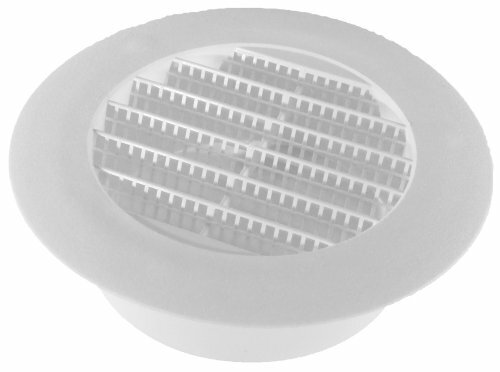 Speedi-Products 4-Inch White Round Soffit Vent. Used in Soffits for exhaust duct terminations and Soffit venting. UV Stabalized with extra long collar and molded in mesh screen. Can be used for Remodeling, Do it yourself and New Residential projects. Replacement white vent top only. 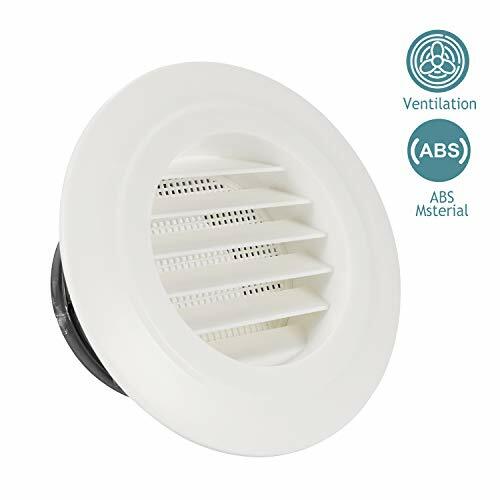 Specification: material: ABS size: 4 inch color: white +black Ideal for vent pipes / hoses, bathroom vents & extractors, air conditioning units, kitchen fans & vents, all home wall vents, heat transfer and ventilation systems, gas & electric dryers, cooker hood extractors, as well as a wide variety of industrial uses. Built in fly screen mesh: it helps to give you a better healthy life. Premium material: new high quality ABS was adopt, environment friendly and non-toxic. Portable and Lightweight: available for wall mounted or ceiling mounted. Diameter of 4 Inch, stylish design, ideal for room exhaust and ventilation use. These small round vents are easy to install. They fit into the hole made by a drill type hole saw and are held in place by knobs on the side. They are used for ventilating soffits and eaves, insect cages, display cases and spice racks. Diameter 100mm, sleeve height 70mm. 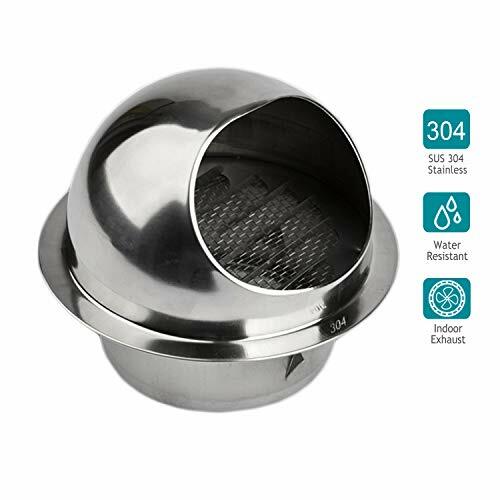 Specification: material: ABS size: 6 inch color: white +black Ideal for vent pipes / hoses, bathroom vents & extractors, air conditioning units, kitchen fans & vents, all home wall vents, heat transfer and ventilation systems, gas & electric dryers, cooker hood extractors, as well as a wide variety of industrial uses. Built in fly screen mesh: it helps to give a better healthy life to you. Diameter of 6 Inch, stylish design, ideal for room exhaust and ventilation use. 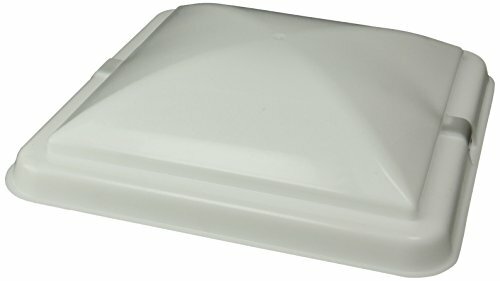 The bathroom replacement hood is contractor grade, heavy duty construction. The hood louvered dampers operates quietly for maximum exhaust air flow and seals when not in operation to help prevent back drafts. Note: This hood vent is designed to fit a 4" (diameter) pipe. The 4" measurement is NOT in reference to the over-all dimensions of the piece. Opens with ease for maximum exhaust flow. Curved louvers for quieter operation. Brand new stainless steel bull nose wall vent with anti insect grill, louvres, screw fixings, retainer clips and seal. 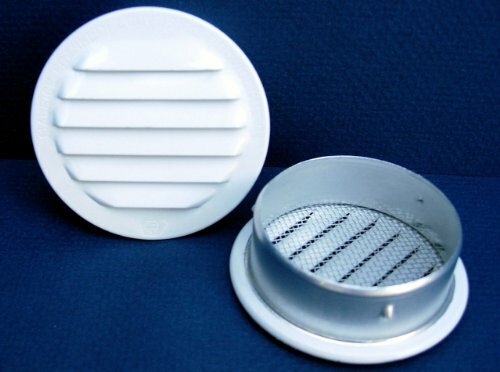 This stylish steel wall extractor vent outlet has a fine mesh to keep mouse out and a weather seal to prevent unwanted leaks and drafts. Ideal for all tumble dryer vent pipes / hoses, bathroom vents & extractors, air conditioning units, kitchen fans & vents, all home wall vents, heat transfer and ventilation systems, gas & electric dryers, cooker hood extractors, as well as a wide variety of industrial uses. Specifications: Circular pipe / hose fitting diameter 100mm (4). 4 Pack, 4" White Aluminum Round Insect Proof Mini Louvers With Screen, Overall Size 4.625", Fits 4" Hole Diameter, 3.5 SQIN Free Area. Do you want your home or office to maintain a constant smell? 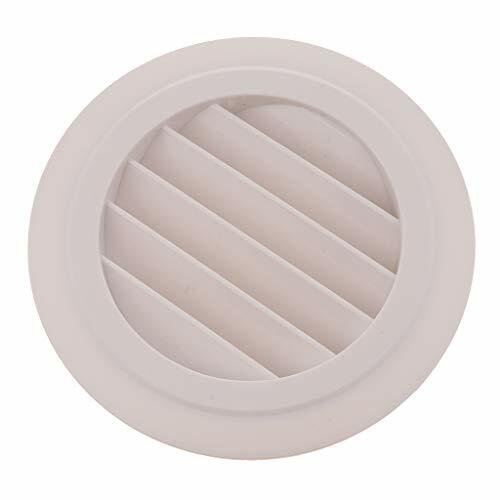 FOCCTS Air Vent Hole Mesh Hole can satisfy with you. FOCCTS helps you to "move" the air! 1,After the installation you can add a little bit of sealant will better fix its position. It is use durable stainless steel material, silver tone color, round shape, and mesh holes design. [Stainless Steel Material]--The Air Vent is made of Stainless Steel, durable, and strong ability to withstand gravity, not only oxidation resistance, but also more beautiful installation effect. 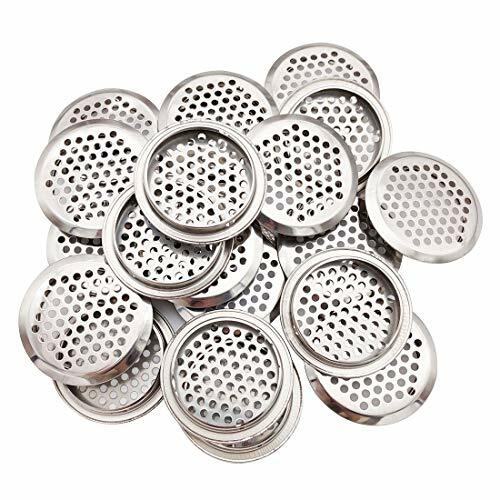 [Round Mesh Design]--Stainless Steel Mesh Hole With honeycomb design, exquisite round holes conform to the breathable design, small round holes can be dust-proof and not easy to block. [Enjoy Odor-Free Environment]- Circular mesh can make the wind easily flow into the spaces where you are staying, it will giving you a fresh and odorless life and work environment. [Wide Range of Applications]- Applicable to Cabinet, Shoe Cabinet, Decorative Cabinet and offices, meeting rooms, music hall, ect. Mode: Round; Warm prompt: Please be careful for the edge area! Wearing gloves is suggested when installing! Please keep out of reach of children! Thank you so much for choosing Hon&Guan products, if you have any questions about the product, please kindly contact us, it is a great honor for us to help you! Compatible with all 6 Inch diameter ducts. 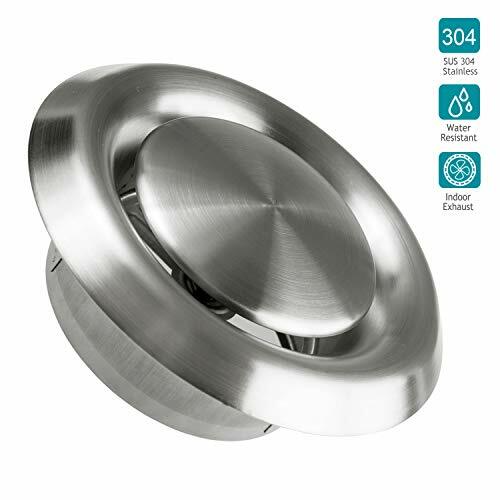 Made of 304 stainless steel, has a weather seal to prevent unwanted leaks and drafts. Very easy to install and use, please wear gloves when installing! Design of 100mm hemispherical hood,windproof and rainproof. built in insect screen, the fine mesh keep the pests out. 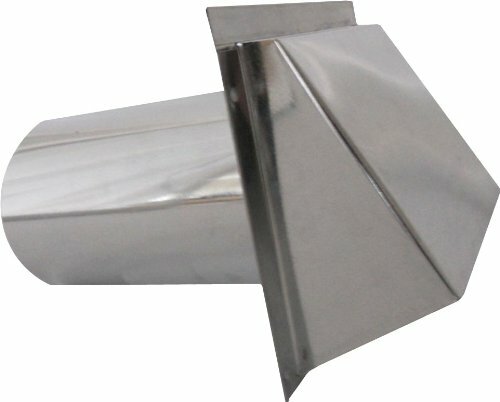 Speedi-Products 8-Inch Galvanized Wall Vent with spring return damper. For use as the outside sidewall termination of Kitchen, Bath and Dryer exhaust systems. Made of durable galvanized sheet metal. Can be used for Remodeling, Do it yourself and New Residential projects. 1. Adjustable stainless steel exhaust grille. 4. Suits for indoor kitchen & bathroom. 5. We have 12 months warranty. any problems, please feel free to contact me. HIGH QUALITY 304 MATERIAL: Made of high-quality adjustable stainless steel exhaust grille. outside: 19cm; inside: 15cm. EXHAUST & INTAKE FRESH AIR: Used as exhaust grill to bring fresh air to grow rooms. Make your life more healthy. HIGH APPLICATION: Continuous or periodic exhaust ventilation area such as bathroom, showers, kitchens, offices and other spaces.Suitable for ceiling mounting. SATISFACTION GUARANTEE: the HG POWER fan has modern design and good looking. We have 12 months warranty. if any questions, feel free to contact us. we will reply immediately in 24 hours. 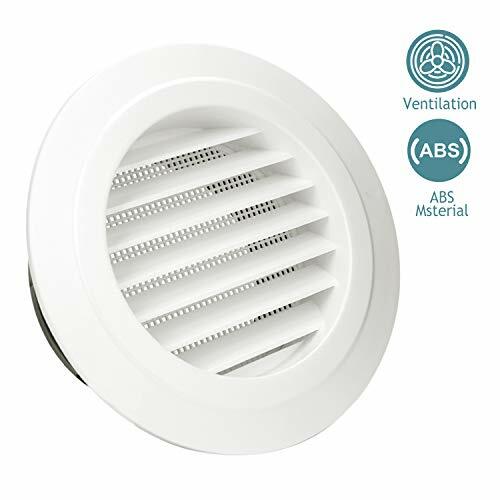 1. the ABS Vent made of high grade ABS, durable and compact. 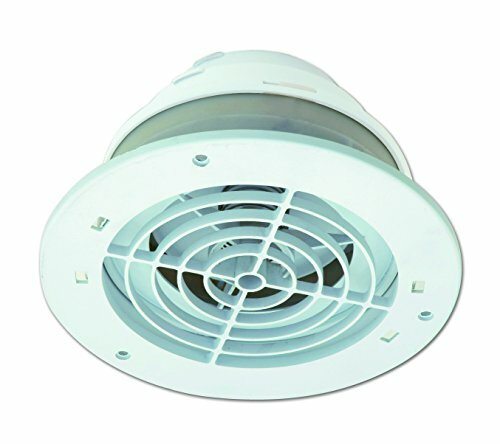 2. the Air vent compatibles with all 6 Inch diameter ducts. 3. Corrosion-resistant, UV resistant, Waterproof. 4. 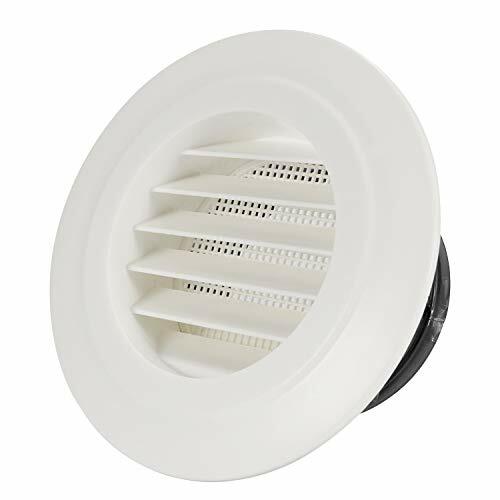 It is built in louver, this air vent can effectively prevent mouse and birds from entering. units, kitchen fans & vents, all home wall vents use. Thank you so much for choosing Hon&Guan products, if you have any questions about the product, please kindly contact us, it is a great honor for us to help you! Made of high grade ABS, durable and compact. Corrosion-resistant, UV resistant, water proof. 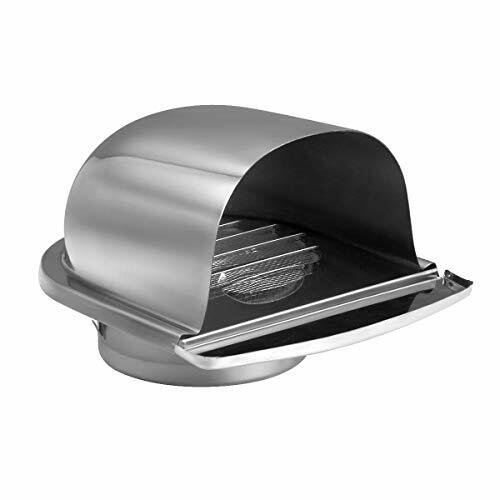 Built in louver, this air vent can effectively prevent mouse and birds from entering. Ideal for bathroom vents & extractors, air conditioning units, kitchen fans & vents, all home wall vents use. 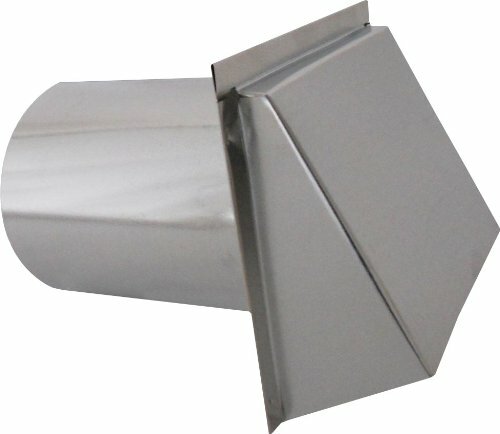 Speedi-Products 5-Inch Galvanized Wall Vent with spring return damper. For use as the outside sidewall termination of Kitchen, Bath and Dryer exhaust systems. Made of durable galvanized sheet metal. Can be used for Remodeling, Do it yourself and New Residential projects. 5. give a better life to you. the HG POWER air vents have 3''/ 4''/ 5''/6''/8''. you can find any size follow you want. if you have any needs, feel free to contact us. we will reply to you in 24 hours! HIGH QUALITY MATERIAL: Make of quality ABS material. environment friendly and non-toxic. make you have a better life. EASY TO INSTALLATION: available for wall mounted or ceiling mounted. 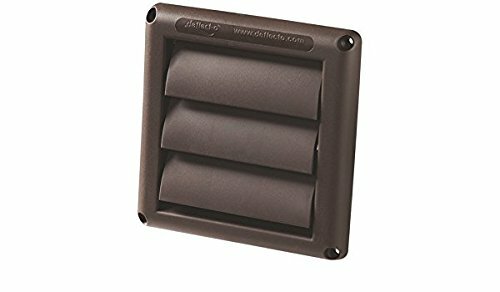 make easy to install in home or other inside/outside places. SIDE: Diameter of 6 Inch, stylish design, ideal for room exhaust and ventilation use. SATISFACTION GUARANTEE: the HG POWER air vents has modern design and good looking. We have 12 months warranty. if any questions, feel free to contact us. we will reply immediately in 24 hours. SIDE: Diameter of 4 Inch, stylish design, ideal for room exhaust and ventilation use. 1. The Air Vent is made of Stainless Steel, durable, and strong ability to withstand gravity, not only oxidation resistance, but also more beautiful installation effect. 2. Applied to places such as offices, meeting rooms, auditoriums, music halls, etc. 1. Sipery is dedicated to producing a comprehensive, quality line of power tool accessories and hand tools for many years. 2. We guarantee your 100% satisfaction! If within 30 days you are not satisfied with our products, just return it for a full refund! No questions asked! 3. If Wanna more Tool Accessories, just search "Sipery". 1. Please allow 1-2cm errors due to manual measurement, thank you for your understanding! 2. Actual color may vary slightly due to differences in monitors and lights. 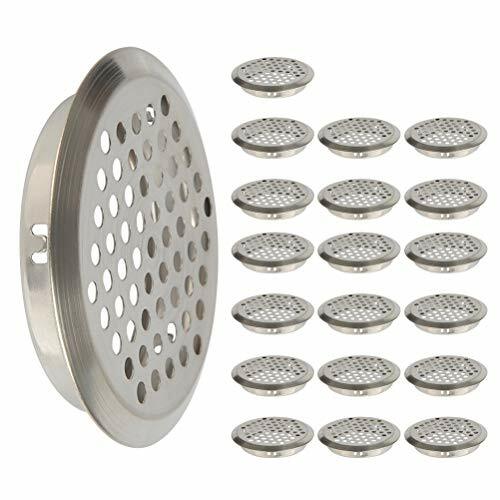 Specification - 20Pcs 53mm Cabinet Vent Cover, mounting diameter: 53mm/2inch, Total Size: 64 x 9mm/2.5 x 0.35inch. Material - Vent Mesh Hole are made of stainless steel, brushed surface, non-corrosive and durable. Design - Honeycomb design,round shape, bevel design, dust-proof, anti foreign, not easy to plug. Mesh Hole Design - Circular mesh can make the wind easily flow into the spaces where you are staying. 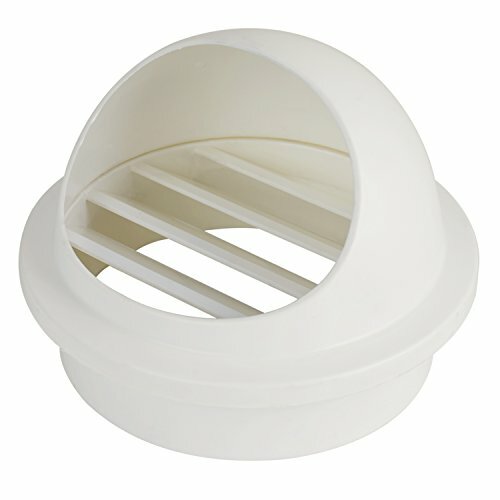 Application - Air Vents applied to places such as cabinets, wardrobes, shoe cabinets, sundry cabinets. 1. Featured SUS 304 stainless steel material. Strong Anti-corrosion, Durable and Non-toxic. 2. Fly screen mesh design for making a better life for your families. 3. U shape with drainage channels special design. waterproof and rain resist. 4. Buckle installation make a better connection between the ventilation and wall. 5. Light paint surface to resist rain, dust and rusty. make it more durable. WITH THICK 304 MATERIAL: Featured with thick SUS 304 stainless steel light mirror material. Strong Anti-corrosion, Durable and Non-toxic. FLY SCREEN DESIGN: the HG POWER air vent make with fly screen mesh, give a better life to you. SPECIAL U SHAPE DESIGN: U shape with drainage channels special design. waterproof and Light paint surface to resist rain, dust and rusty. make it more durable. EASY INSTALLATION: Buckle installation make a better connection between the ventilation and wall. 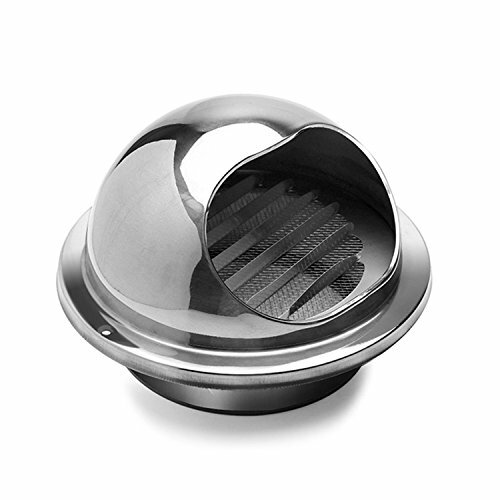 SATISFACTION GUARANTEE: the HG POWER vents have modern design and good looking. We have 12 months warranty. if any questions, feel free to contact us. we will reply immediately in 24 hours. - 100% new and made of high quality ABS plastic. - Built-in grille, effectively isolate dust, to prevent pests into the room, to avoid blocking the channel. - Can effectively prevent the entry of rain and debris. - Keep indoor and outdoor air circulation. - For the external wall exhaust, air refreshment, hood exhaustion, decoration for your wall, etc. 100% new and made of high quality ABS plastic. Built-in grille, effectively isolate dust, to prevent pests into the room, to avoid blocking the channel. Can effectively prevent the entry of rain and debris. For the external wall exhaust, air refreshment, hood exhaustion, decoration for your wall, etc. Compatible with all 80mm/3.15in diameter ducts. Design of insect-proof mesh effectively prevents insect, mouse, birds from entering. 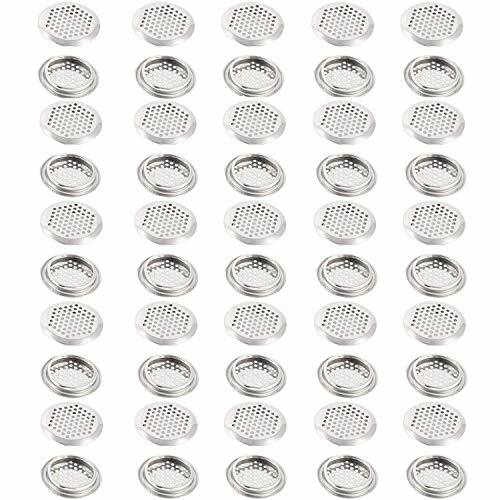 Ideal for all tumble dryer vent pipes / hoses, bathroom vents extractors, air conditioning units, kitchen fans vents, all home wall vents, cooker hood extractors, as well as a wide variety of industrial uses. Various sizes (Diameter) for your needs: 80mm/3.15in, 100mm/3.94in, 120mm/4.72in, 150mm/5.91in, 180mm/7.09in, 200mm/7.87in.